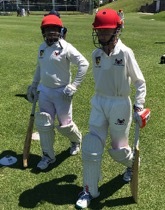 Perth Cricket Club is holding Premier Cricket trials for the Under 13s, U14s & U15s junior teams in March for positions in the 2019/20 squads. Please refer below for dates for each age group. All trials will be conducted at Fletcher Park, Weston Street Carlisle by current junior and senior coaches and First Grade players. If you’re a junior cricketer looking to take the next step in your cricket pathway we encourage you to register your interest and attend one of the below sessions. The Perth Cricket Club is one of the 16 Premier cricket clubs that play in the Western Australian Premier Cricket Competition. It is one of the oldest clubs in Western Australia, with former Australian representatives such as Dennis Lillee, Rod Marsh, Luke Ronchi and Adam Gilchrist. Current Warriors and Big Bash players also include fast bowler Liam Guthrie and top order batsman Jon Wells. The Perth Cricket club attracts the best young community cricketers in the region to play for it. The Perth Cricket Club plays a massive role in integrating Community Cricketers into its Premier Cricket teams and understands the importance of creating a welcoming environment. This trial process is another step we are taking to ensure all cricketers are given equal opportunity to be exposed to high level coaching they may not have experienced before. We are holding open trials, so anybody can attend and have a go at making it to the next step while they also have an opportunity to train on turf wickets for the two sessions and be exposed to some fantastic coaches. (d) Under 13 – less than 13 years. Best of luck to all those that try out! However please note that your position is not guaranteed in one of the Premier sides because of your involvement in the Perth Cricket Club’s 2018-19 season.